Birthing Horror Comedy Cynthia Brings a Monstrosity into the Ballpit this September 18th! 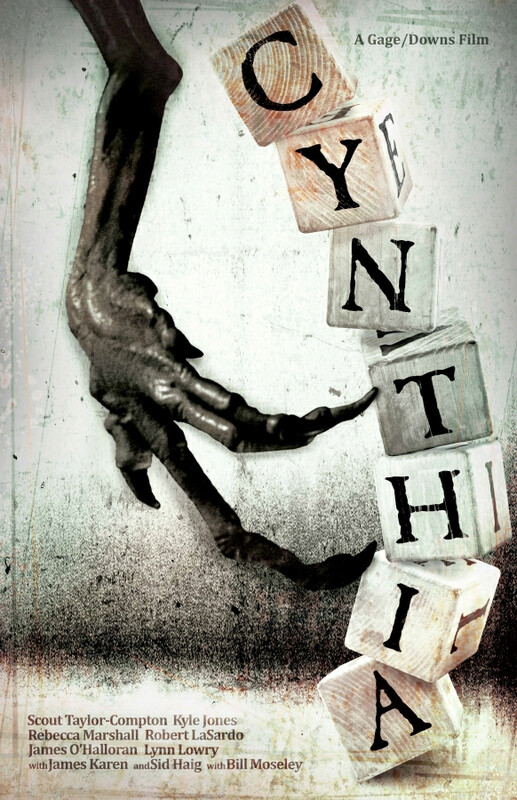 Cynthia is an upcoming horror comedy from directors: Kenny Gage and Devon Downs. The film features actress Scout Taylor-Compton (Halloween, 2007) as Robin, a woman desperate to have a baby. 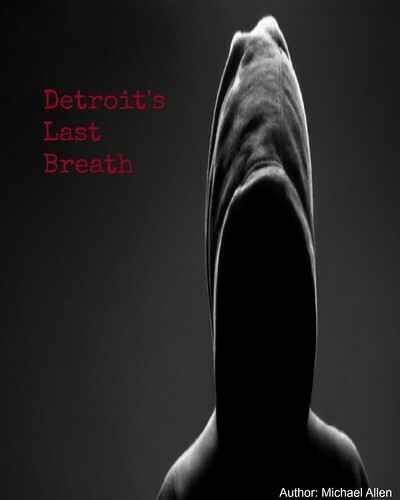 After years of fertility treatments, something has changed in her womb, leading to the birth of a monster. Cynthia also stars: Sid Haig (House of a 1000 Corpses) Bill Moseley (Repo! The Genetic Opera), Robert LaSardo and many others. This film will release, through Indican Pictures this September and a preview of the film's home entertainment launch is hosted here. More of the hilarity, in Cynthia, can be seen in the trailer. Robin seems oblivious to the scarred and malicious nature of her child. Cynthia attacks another newborn, while tormenting the entire neighbourhood. 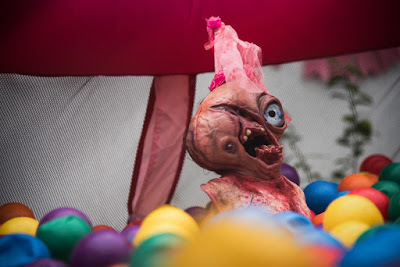 One character goes over a guardrail and into a ballpit. Actor Bill Moseley appears as Buttercup, a transvestite, while other characters do their best to avoid the six-fingered and one-legged baby Cynthia. Indican Pictures has set the date for September 18th as the film's release date. In mid-September, Cynthia will show on DVD and Digital platforms, including Amazon. Fans of indie horror, or of comedies will want to mark their calendars for this release. More on Cynthia and her murderous hijinx are below. 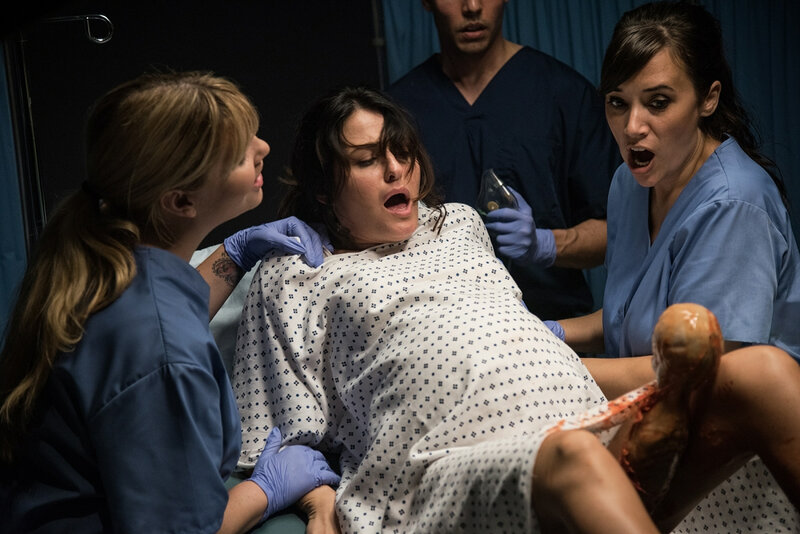 Robin (Taylor-Compton) Gives Birth to a Monstrosity. Cynthia: the Face Only a Mother Could Love. Actor Moseley as Buttercup in Full Drag. Release Date: September 18, 2018 (VOD/DVD). Directors: Kenny Gage and Devon Downs. Cast: Scout Taylor-Compton, Sid Haig, Rebecca Marshall, Bill Moseley, Robert LaSardo, James Karen.